Serengeti National Park Tanzania, Serengeti Wildlife Safari Tanzania Tour, Tanzania Wildlife Safaris Tour, Tanzania Safari Excursions is one of the famous National parks in Tanzania situated in the Northern circuit. Serengeti National park covers a total surface area of about 5,700Km². It is the oldest and most popular National park in Tanzania due to its huge population of wildlife. The name Serengeti is derived from a Masaai word which means ‘endless plains’. The park is popularly known for its migration of about a million wildebeest and about 200 thousand Zebra’s from the northern to the southern sector during e short rains of October and November. They move to the west and North from April to June when the long rains eventually begin. The great stretches of Tanzania had been un-known to the rest of the world until 1913, when the first European, Stewart Edward White explored Tanzania. Edward White, a Briton, approached Tanzania through the North from southern Kenya and arrived at the area of Serengeti National Park. Edward White returned to Serengeti in the 1920’s and camped around present day seronera for about 3 months. During his time of stay in the park, Edward White and his companions’ short around 50 lions, thus decreasing their population in the park. Later, the British colonial administration made the Serengeti a partial game reserve in 1921, and it was made full in 1929. 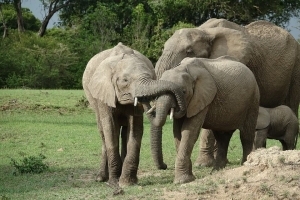 It was later established as a National game park in 1951. 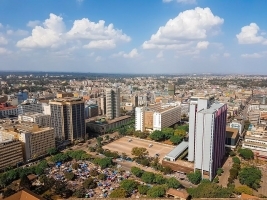 The park is part of the Serengeti region which comprises of the Serengeti National Park itself, Ngorongoro conservation area, Maswa game reserve, Grumeti and Ikorongo controlled areas; Loliondo and the Masaai Mara National reserve of Kenya. The ecosystem of Serengeti is one of the oldest on earth. 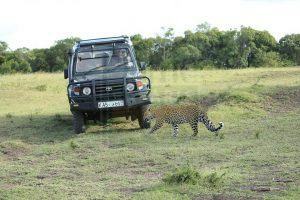 Serengeti National park is subdivided into 5 major regions or sectors which compose of different species of wildlife. The regions include southern Serengeti, Western Corridor, Eastern Serengeti, Central Seronera and Northern Serengeti. Among all regions of Serengeti, the southern section has the most iconic grassland plains and woodland of Ndutu.It is characterized by rich nutrient plains which are home to the enormous migratory herd of wildebeests and Zebras during the months of December to April. The area is prime game viewing spot of wildlife in the entire Serengeti National Park. Some of the wildlife present in the area include lions, giraffe, hyena, zebras, jackal, cheetah, eland, wildebesst and many others. Hidden Valley:The valley is has a water catchment area located about 14 miles northwest of Ndutu. The depression in the valley forms the catchment area for water, becoming a magnet for wildlife as it comes down to access the water. The area has a huge concentration of spotted hyenas. Other wildlife include lions, zebras, cheetah, jackal, warthog and many others. Matiti Plains: The area is home to mainly female herds of wildebeest during the green season. The female wildebeest use the area for calving from January to March. 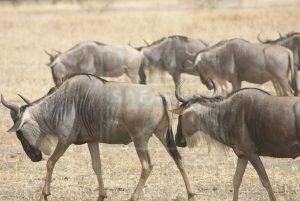 The wildebeest seek for the most open plains available to give birth to the calves. The area has short grass plains surrounding wood acacia hills. 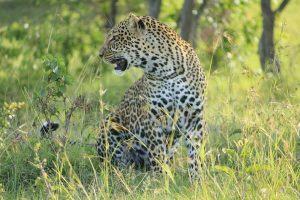 Some of the wildlife in the area include hyena, giraffe, leopard, steenbok and other wildlife. Kusini Plains: Besides the migratory wildlife, there are other wildlife in the area such as elephants, two lion prides, giraffe, buffalo and many more. The most dominant feature in the area is the Kusini Crater, a circular grass plain encircled by dense acacia trees. The trees are home to a huge concentration of cheetahs. Lake Ndutu: The lake lies at the heart of the southern section of Serengeti National Park. The area around the lake is surrounded by an acacia tree forest. Some of the wildlife found in the area include Lion, cheetah, elephant, leopard, striped hyena and many others. 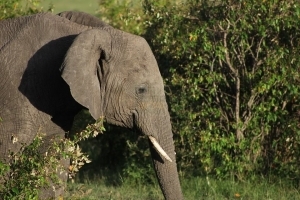 The area has the largest concentration of elephants in the entire Serengeti National Park. 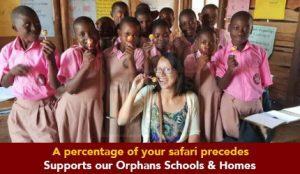 It I characterized by heavy wooded areas and bushy savanna vegetation. 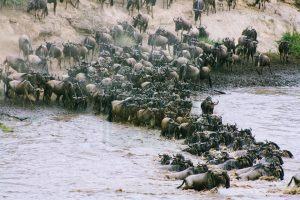 The section also comprises of the Mara River, which is one of the greatest obstacles the wildebeest encounter while they migrate northwards from July to November as they look for new feeding areas.The region is home to wildlife such as hippo, crocodile, lion, the rare oribi antelope and others. Mara River: The river is shared by both Kenya and Tanzania; Kenya covering 65% while Tanzania covers 35% of the total surface area of the river which is about 13,504Km². The river is famously known for the dramatic wildebeest crossing which has been featured in many wildlife documentaries.Usually, there are enormous deaths of wildebeest as they cross the river. Some deaths are caused due to the building up of the herds on the banks while other deaths are caused by crocodile attacks. The river hosts one of the largest crocodiles in the world. 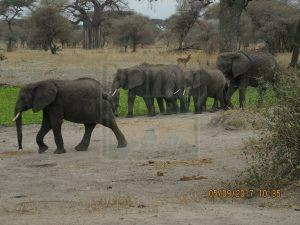 Other wildlife around the area includes eland, elephant, rare black rhino, lion, leopard and others. The area around the river is characterized by a canopy riverine forest, open acacia woodland and floodplains. 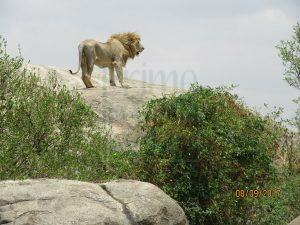 Wogakuria: The area is situated in the remote Serengeti’s northern extension where there is a series of open plains dotted with granite Kopjes. The area has a high concentration of cheetahs and rare oribi antelope. 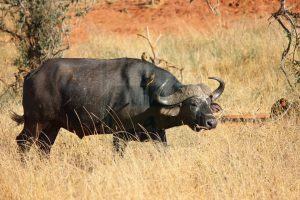 Other wildlife in the area include old buffalo, lion, giraffe, klipspringer antelope and others. Bologonja Springs: The area is home to the rare antelope species, reedbuck and steenbok. Bologonja is a prime bird viewing spot with birds such as Kingfishers, hoopoes and rollers. The area is characterized by a beautiful canopy forest which is nearby the Larelemangi salt lick area. 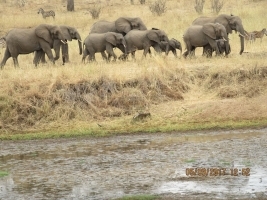 Some of the wildlife in the area includes impala, topi, elephants, buffalo and others. Lamai Triangle: The area is a triangular shaped watershed north of the Mara River.The area is characterized by a grassland, rounded hills and savanna which is a refuge ground for the wildebeest and the zebras during the dry season.The triangle was added to the park in 1965 and is a prime game viewing spot for elands and antelopes. This is where the park narrows into a small strip of verdant land that stretches about 80Km² almost to Lake Victoria. The Grumeti and Mbalageti rivers flow through the area along evergreen forests and swamp savannah. The wildebeest pass through this area in the months of May to July. The two rivers have an enormous concentration of Nile crocodiles which often get hold of the wildebeest as they cross the river. This section is characterized by vast open plains, woodland and dotted savannah with acacia trees which are a habitant for the Wildlife. Some of the wildlife in the area include Colobus monkey, hyena, giraffe, elephant, hippo, leopard, lion, crocodile and many others.The total surface area of the western region is about 1,300 square miles and is characterized by vegetation such as savanna, open woodland; hills, valleys and flood plains. The Grumeti River is the most dominant feature in the region and runs almost through the entire corridor length. Ruwana Plains: The plains have the highest concentration of predators in the entire western region of Serengeti National Park. The dominant predator in the area is the spotted hyena, which live in several large clans, maintaining their territories from other hyena intruders. 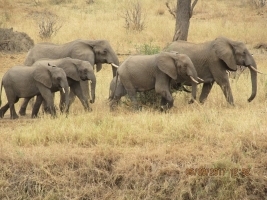 Other wildlife include lions, cheetah, wildebeest, Zebra, Elephant, Warthog and others. 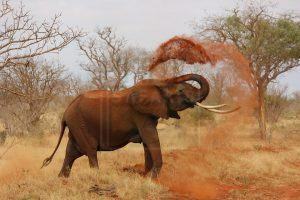 The plains are characterized by open grasslands, waterholes, riverine areas and floodplains. 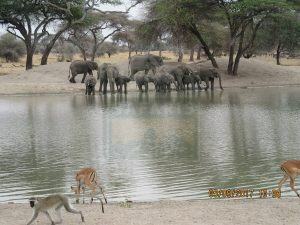 Musabi Plains: The plains are covered by verdant acacia woodland which is a breeding ground for mainly Topi antelopes. The giraffe is also another dominant specie in the area, feeding on the tender acacia tree leaves. Mbalageti River Valley: The Valley is a link between the woodlands and plains, forminga great corridor where the Zebra and wildebeest migration routes within the park. The area becomes a phenomenal prime game viewing spot during the southward and northward wildebeest and Zebra migration. The northward migration is during the months of May to July. Some of the wildlife in the area include Serengeti’s most striking and powerful raptor, the Martial Eagle; gazelle, ostrich, Impala, Giraffe and others. Lower Grumeti Woodlands: The woodland stretches on an area of about 80miles with ariparian forest. The forest is home to the rare black and white Colobus monkeys. The woodland is intercepted by the Grumeti River, which is known for its mass population of the Nile crocodiles. Some of the crocodiles in the river stretch up to 17ft long and are approximately 70yrs of age. The river is crossed by the wildebeest and zebras during the great migration. Some of the wildlife in the area includes leopards, elephants, Nile crocodiles, black and white Colobus monkeys and others. Covering an area of about 3,200Km², the region is primarily a big cat territory with wildlife such as cheetahs, Eland, wild dog, jackal, Lions, Leopards and others.Eastern Serengeti has the highest concentration of cheetahs and hyenas in the whole of Africa during the wet season. 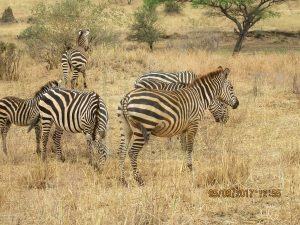 Besides the cheetah, there is also a large herd of wildebeests, Zebras, Thomson’s gazelle and other wildlife. These are found mainly around the Gol Kopjes, one of the largest rock field in the world.The eastern region begins east of Naabi hill, extending through Gol Kopjes, Lemuta hill, Nasera rock, AngataKiti, Salei plains up to the Ngorongoro highlands. The region’s border is marked by Olduvai gorge in the south and Loilondo game area in the north. Naabi hill: It lies in the eastern Serengeti has one of the best scenery in Africa. 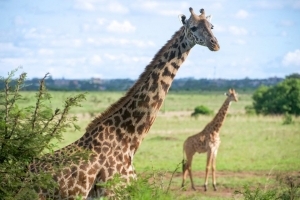 It lies on a total surface area of about 3Km² and is characterized by acacia trees, surrounded by open plains; which are home to wildlife such as wildebeests, elephants, giraffe, Lions, cheetahs, antelopes and other wildlife. Lemuta hill:It is a singularly ascending hill with evergreen grass and covers a total surface area of about 64Km². 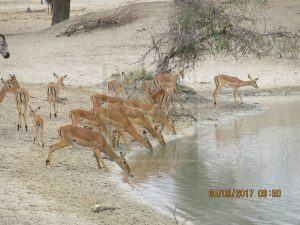 it is characterized by short grass plains, seasonal waterhole, granite kopjes and wooded acacia. Some of the wildlife found in the area include African hare, golden jackal, eland, honey badger, hyena, cheetah and others. The area is well known for its large clans of spotted hyena species. The hill offers the most remote adventure experience in Tanzania. Barafu Gorge: The gorge is a dissecting point of the eastern region and is characterized by seven pinkish granite kopjes which act as the eastern border of Serengeti National Park. The area clearly describes the meaning of the word ‘Serengeti’. It has an extravagant scenery with rolling plains which are home to thousands of gazelles, rare species such as oryx and honey badger, lions, cheetah and other wildlife. The gorge has a large depression, covering an area of about 30Km² and has vegetation such as short grass plains with shrubs and bush. Sematu Marsh: The marsh has the largest concentration of lion pride and is hidden on the remote edge of the Serengeti National Park.Sematu covers a total surface area of about 8Km² and is home to wildlife such as cheetah, honey badger, warthog, jackal and others. It is characterized by short grass plains with a small depression. The marsh lies directly in front of the Kopjes which have underground springs. Lake Natron:It is a salt and soda lake lying in the Gregory rift valley. Lake Natron covers a surface area of 52Km long and 22Km wide. The lake is characterized by a red colour and has over 2.5million lesser flamingoes in East Africa.It has a magnificent aerial view and amazing ‘martian’ like landscape. The red color is caused by evaporation of water. As the evaporation occurs, salinity levels of the lake increase due to photosynthesis of cyanobacteria; hence causing deep red colors on the open waters and orange on the shallow waters. The lake has a single species of fish known as the white-lipped or alkaline fish. The fish species lives only in waters with temperatures ranging from 36 to 40°C and is endemic to saline lakes. SeroneraRiver Valley: The valley is also known as the ‘big cat capital of Africa’. This is because of the large concentration of large predators such as lions, hyena, cheetah and leopard. There are also small predators such as serval jackal, mongoose and the fox. The word seronera is derived from a Masaai word ‘siro’ which means place of the bat-eared fox. The broad valley is characterized by meandering rivers, swamps, granite kopjes with savanna vegetation and grassland. The 20mile long river is characterized by umbrella and yellow barked acacia with swamps and riverine surrounding areas which are home to the largest concentration of leopards in Africa. 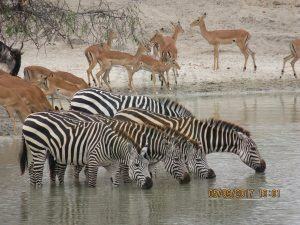 Other wildlife found in the area include the Nile Crocodile, waterbuck, lion, hippo and many others. The leopards are mainly found in the branches of the sausage trees in the area.One of the first photographic safaris in the area was conducted in 1928 and was documented in a book known as ‘Africa Speaks’ by Paul Hoefler. Makoma Hill: The hill marks the western edge of the Central valley and is bordered y the seronera River to the east. The hill is a perfect place to view wildlife such as giraffe and impala. Other wildlife spotted in the plains include cheetah, spotted hyenas, buffalo and the gazelle. 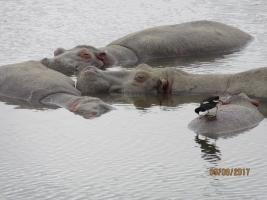 Retina Pool:The pool is the prime hippo viewing point in the National Park. 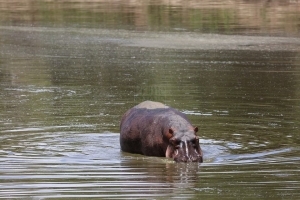 The riverbank is about 10ft above the pool and is home to approximately 200 hippo’s on a total surface area of 1Km². Other wildlife found in the area include Nile Crocodile, Hippo, Egyptian geese, herons, Kingfisher and many others. The retina pool is formed by the converging of seronera and OrangiRivers. Simba Kopjes: They are the tallest Kopjes in the entire park, with the highest Kopje known as ‘soitNaado’. 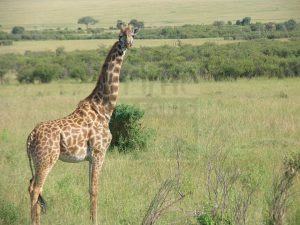 The words SoitNaado are derived from the Masaai language meaning long-necked stone. The area is home to wildlife such as flamingo, elephant, cheetah, lion and others. The area is characterized by long grass plains and towering granite kopjes. The area is en-circles by the Kopjes and neighbors a small hippo pool to the south and Lake Magadi to the West. Some of the wildlife found in the area include Zebra, elephant, cheetah, reedbuck, lion, bat-eared fox and others. 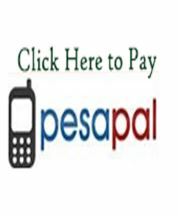 Masaai Kopjes: The Kopjes in the area are well known for being home to the Masaai lion pride. The area forms the eastern boundary of the central region. The Masaai lion pride together with the Sametu Lion pride which is in the southeast, form the biggest and oldest prides in the park. The two prides have been studied by scientists since 1966 in the Serengeti Lion project. The area is characterized by Kopjes, a Masaai word meaning little head. The kopjes are believed to be 2 to 3 million years old. The pile of rocks that form the kopje rocks are encircled by open plains characterized by long grassland. Some of the wildlife found in the area include Lion. Cheetah, Jackal, grants gazelle ad many others. All the regions in the park are a prime game viewing spot for wildlife such as the wildebeest, Zebras, Lions, Cheetah, leopards, hyenas, elephants, warthogs, Crocodiles, Hippo, gazelle, Jackal and many other wildlife species. In the central region, game viewing can be done around the Seronera River Valley. The valley is known as the ‘big cat capital of Africa’. This is because of the large concentration of large predators such as lions, hyena, cheetah and leopard. There are also small predators such as serval jackal, mongoose and the fox. 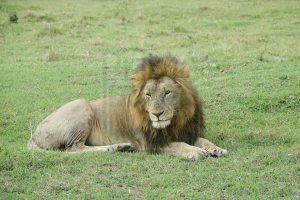 Game drives can also be done at Sematu Marsh in the Eastern region due to the areas large concentration of lion pride. The marsh is home to wildlife such as cheetah, honey badger, warthog, jackal and others. In the Northern Serengeti, there is the Mara River which is famously known for the dramatic wildebeest crossing. The river hosts one of the largest crocodiles in the world. 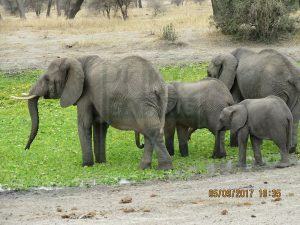 Other wildlife around the area includes eland, elephant, rare black rhino, lion, leopard and others. The area around the river is characterized by a canopy riverine forest, open acacia woodland and floodplains. 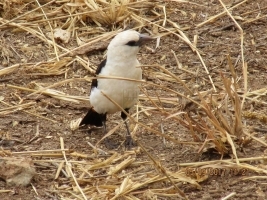 Birding activities can be done at Bologonja Springs.The area is a prime bird viewing spot with birds such as Kingfishers, hoopoes and rollers. The presence of the birds in the area is because of the beautiful canopy forest. Lake Natron in the Eastern region of the park is another prime bird viewing spot. The lake is a breeding site for about 2.5million lesser flamingo’s in East Africa. The blue-green algae is the reason as to why Lake Natron is highly populated by the flamingos. They filter the algae out of the salty waters of Lake Natron and fed on it. Other great flamingos feed on copepod larva which is usually at the shores of the lake. The lake has a magnificent aerial view and amazing ‘martian’ like landscape. The camp has 9 spacious tents with attached bathrooms and 4 en-suite Masaai type bandas. However, 6 of the tents have bathtubs and a flush toilet. Each tent has a private Veranda. Besides the tents, there is a camp site with a mess tent, toilets and bathrooms. 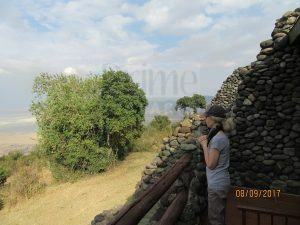 Lake Natron Tented Camp has facilities such as a restaurant, bar and natural swimming pool. 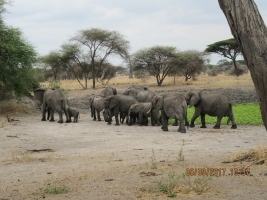 It is located about 14Km from Ikoma gate in the Girumeti Wildlife Reserve.The camp has 20 en-suite tented units with king or twin accommodation. Two of the units has 2 double beds for guests or families. 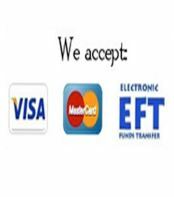 The camp has facilities such as telephone, dining area, swimming pool, lounge, restaurant and bar.